DataSunrise Data Discovery is a tool designed to carry out the search for sensitive data within MongoDB databases. This feature gives database owners and admins clear insight into the data that MongoDB databases store or manage. Sensitive data discovery is the first step to compliance with national and international personal data protection regulations. Any data protection system is primarily based on understanding what has to be protected. That is why the Data Discovery tool from DataSunrise for MongoDB is the first and basic feature to be used if we’re talking about effective data protection system for your company. The data discovery tool has to be versatile and accurate. And, of course, you can also customize your searches. 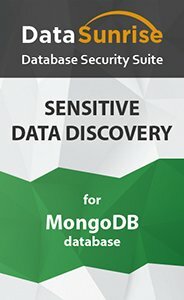 After sensitive data has been identified and located other very convenient and powerful features by DataSunrise for MongoDB can be applied to set up the security system impenetrable for unwanted users. Security, Data Masking and Data Audit features from DataSunrise for MongoDB can be enabled. But these features depend on the accuracy of the initial Sensitive Data Discovery tool. DataSunrise guarantees that your MongoDB databases will be under your full control and securely protected.